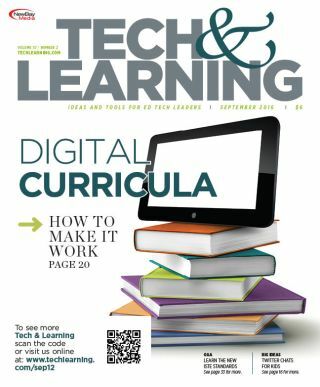 While digital resources offer unparalleled opportunities for instruction and learning, the transition to a digital ecosystem can also present challenges. Here are stories from schools whose technology and curriculum leaders worked together to achieve shared end goals. Maurice Draggon, director with curriculum, instruction, and digital learning, discusses Orange County (FL) Public Schools’ pioneering efforts to simplify and standardize the time-consuming process of accessing instructional resources. Jim Flanagan, ISTE Chief Learning Services Officer, chats with T&L about the new ISTE Standards for Students. Here are three stories about schools that are reinventing rooms and spaces to accommodate many types of learning. ● T&L READER SURVEY WHAT PERCENTAGE OF YOUR STUDENTS HAVE AN INTERNET CONNECTION AT HOME? ● HAS FACEBOOK SOLVED PERSONALIZED LEARNING?